Research networking and global collaboration across scientific disciplines have proved to be an efficient way of generating the scientific knowledge that is indispensable for finding viable solutions to these problems. But what does it take to make research networking a success? 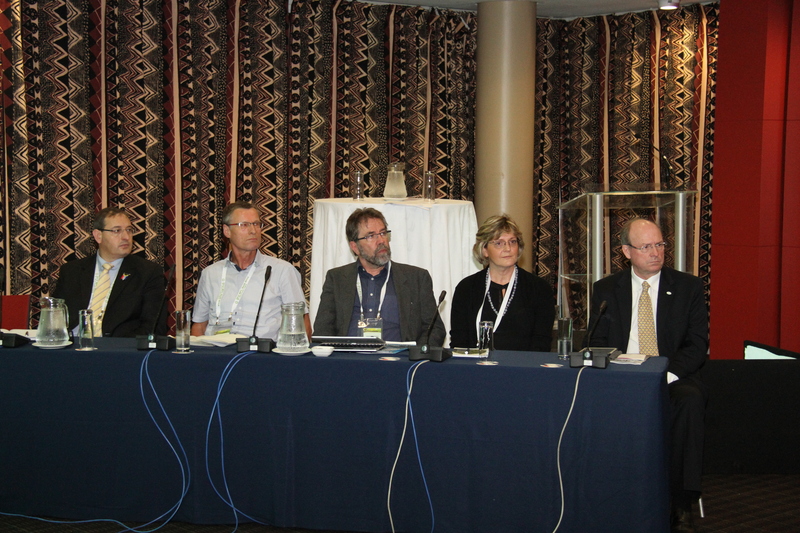 This was one of the main questions discussed at the IUFRO side event on “Global Forest Science Cooperation – Investing in Knowledge Generation, Capacity Building and Education in Forestry” held at the World Forestry Congress in Durban on Wednesday, 9 September 2015. “As a worldwide forest science network, IUFRO is an organization able to draw information from a large number of scientists. It is this interconnectedness and interdisciplinary collaboration that allow scientists to produce results of a global impact”, states IUFRO President Mike Wingfield. Tim Payn from Future Earth, a new global platform focusing on integrated research collaboration for sustainable development, also emphasizes the need for science to support society. ”This can only be achieved by forming partnerships to deal with global challenges”, he says. In addition to its role as a global knowledge generator, IUFRO proactively informs political negotiations of supranational and cross- sector issues and thus, improves the visibility of forest science within political settings. Michael Peter, Forestry South Africa, adds the South African business perspective to the discussion by citing an example: “On the basis of scientific information we have succeeded in significantly increasing the yield of timber from planted forests without increasing the planted area.” Funding of forest science by the private sector in South Africa has actually seen a shift in paradigms from the traditional vision of only increasing yield to a more holistic approach. Currently, he sees a growing need for information on a finer scale, on a molecular level, to tackle issues of forest protection or resilience breeding. Net working with scientists of different countries and inputs from the practicing forester is especially important with regard to restoration of degraded forests in tropical world.